This continuously erupting volcano provides an excellent opportunity for students to use real-time data in various classroom activities. 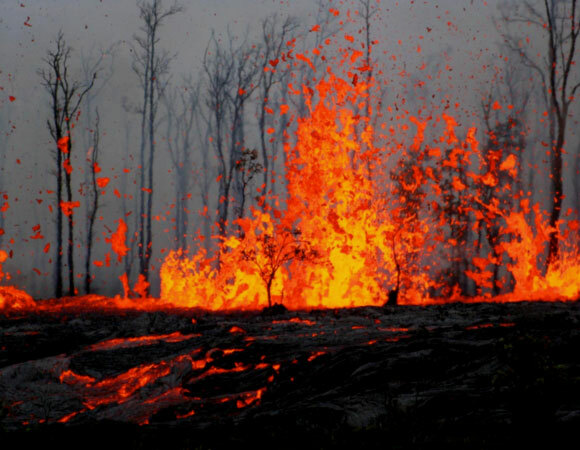 Michael Poland of the USGS has been working with educators to develop activities where students obtain and analyze scientific data concerning the current state of the volcano. 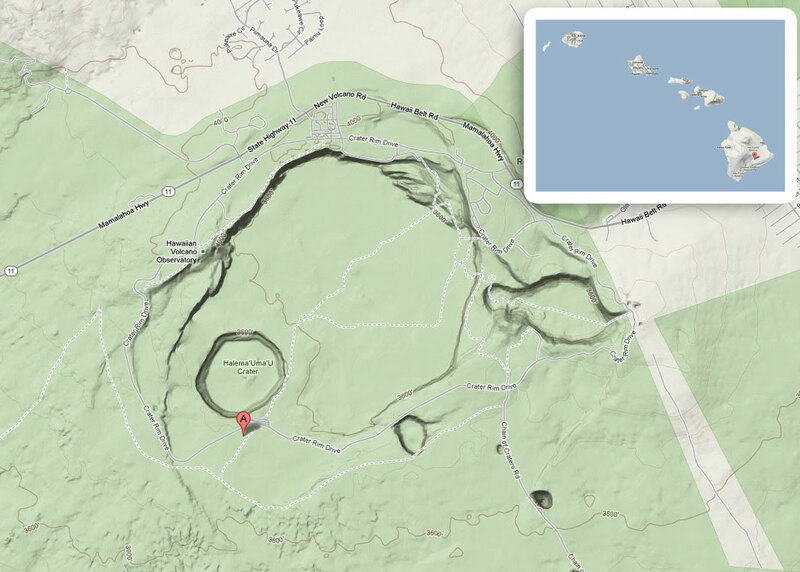 Scientists use the same data to determine upcoming changes in the behavior of the volcano and to decide where visitors can safely view the eruption. For example, if the volcano is releasing a high amount of toxic gases, visitors may not be allowed in an area downwind of the volcano. 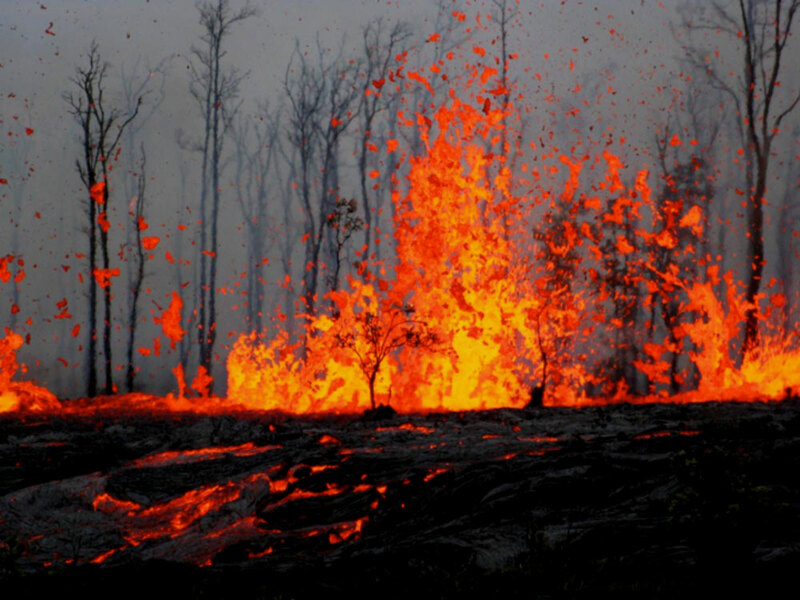 Magma on the move expresses itself in many different ways, including by deforming the ground surface. This deformation is picked up by UNAVCO GPS stations, which put the data online in real-time. In many of the activities students access GPS data to determine where and how much magma might be moving at a given time. The real-time nature of the data can be very engaging for the students, as they are actually monitoring and interpreting ongoing events. Figure 1. Kilauea Volcano has been erupting through the spatter cone Puʻu ʻŌʻō since 1983 on the Big Island of Hawai’i. Photo by USGS. Figure 3. 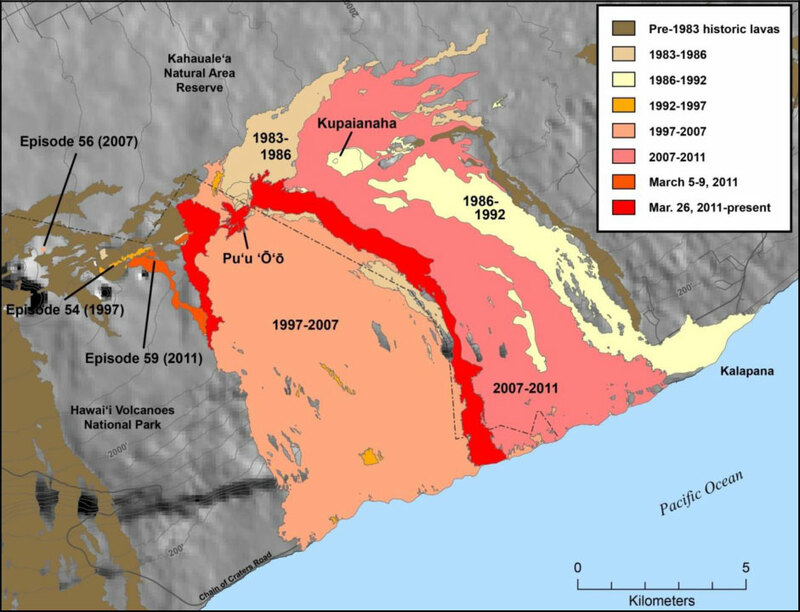 Map of historic lava flows of Kilauea Volcano. Poland, et al. 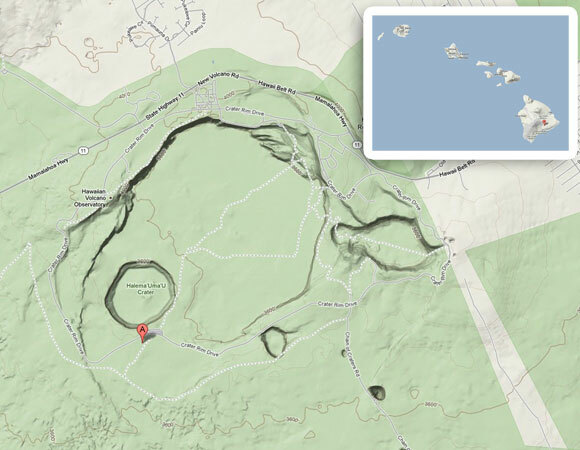 Activities developed at a 2010 workshop using real-time Puʻu ʻŌʻō data.